The New Orleans rockers kicked off their Deepest Dream Tour in DC with two sold-out shows on Wednesday and Thursday. The Revivalists jumped right in to what was basically a continuous stream of music from start to finish. Frontman David Shaw made mention of how long it had been since the band had stopped in DC and then said almost nothing else the rest of the night until the end of the show. Ed Williams’ pedal steel guitar rang throughout the whole night as he intently and calmly sat and played. Rob Ingraham provided non-stop energy on the sax and when he wasn’t playing, he jumped around and sang along with all of the tunes. As a whole, The Revivalists are phenomenal musicians, and they have come together to create a pretty unique style of music. I have seen them described as “eclectic”, a word that is too often thrown around to describe music that doesn’t fit a mold, but this is really a good way to describe the band. 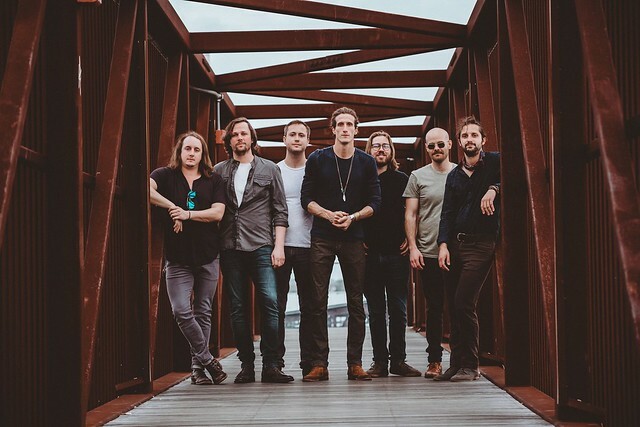 The Revivalists certainly have a classic rock, bluesy sound to them, but they also have hints of reggae, modern rock, funk, and a healthy peppering of a few other genres. The Revivalists have accomplished a lot over three full-length studio albums and sold-out back-to-back headlining tours. What may be most impressive, however, is the success of their hit song “Wish I Knew You,” which was released in 2015 on the album Men Amongst Mountains. Two years later and the song is still a huge hit. The song hit #1 at both Alternative and Adult Alternative Songs, as ranked by Billboard, and Top 15 at Hot AC Radio. In August, it set the record for the most single-week spins for alternative rock. What’s more, the band has embraced the song and clearly enjoys it as much as fans do. They not only played “Wish I Knew You” during their encore, but they actually jammed and extended the song, a smash hit for good reason. It is a great song, and it really encompasses the bands sound. You can listen to the song along with others by The Revivalists via YouTube below. The Revivalists have been around for about 10 years, and they are just reaching the height of their careers. They put on a great show, and their music is high quality. If you are able to get a ticket to see these guys, go see them! Keep an eye out for when they might play near you.